Browse your favourite catalogues in one place, and compare products on special from all the major retailers in South Africa. 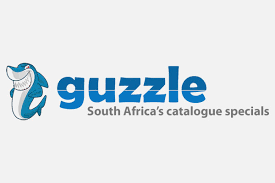 Guzzle is an aggregation portal that lists paper and digital catalogs from hundreds of major retailers in South Africa. What Guzzle does is to capture over 20 000 products that are on special each week. When the specials expire, they do it all over again. By focusing only on items at special prices, Guzzle provides the easiest way to browsing all catalogue promotions in South Africa. This means that you – the consumer – scan save time and money by finding the best deal on the items you are looking for. There are over 200 retailers listed on Guzzle including Clicks, Builders, Musica, MTN, Cell C, Pick n Pay, Dion Wired, Trappers and Pick n Pay Hyper.